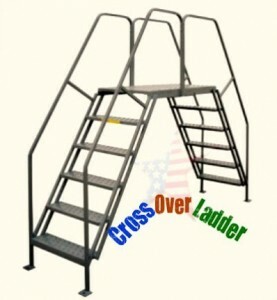 We Can Galvanize our Ladders & Platforms Too! 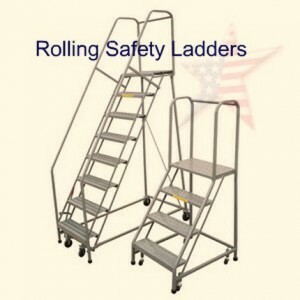 We have the capability to fabricate ladders, stairways, platforms, and just about anything made of steel, stainless, or aluminum to meet our customers requirements. 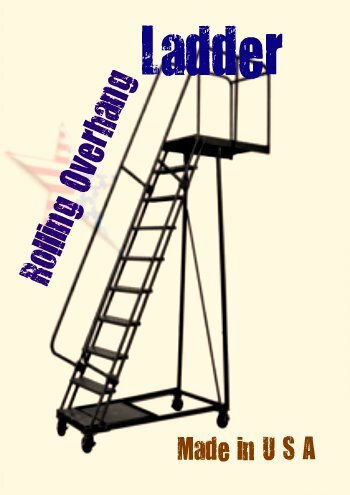 Our TILT & ROLL LADDERS, or TILT N ROLL, are really a mobile WORK PLATFORM. 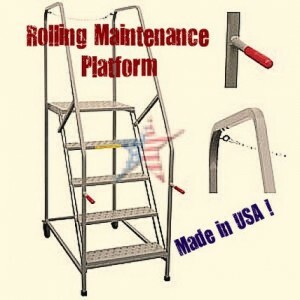 These ROLLING LADDERS are lightweight and can be tilted on their wheels for portability. 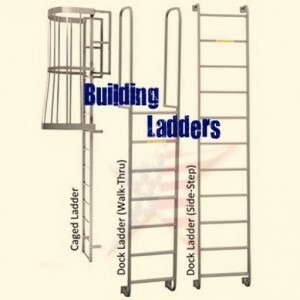 ALUMINUM LADDERS are light and are used in all types of environments. 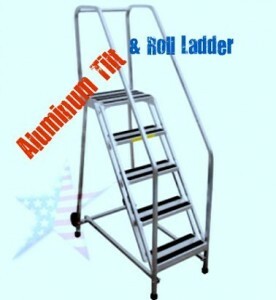 These LADDERS have a tilt and roll design with 5" rigid casters for easy portability. 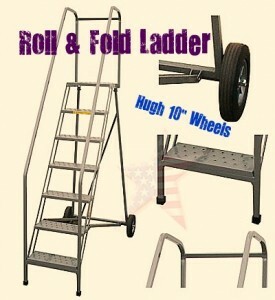 Our ROLL & FOLD LADDER provides all the benefits of a SAFETY ROLLING LADDER, but will roll thru a 36" wide door. 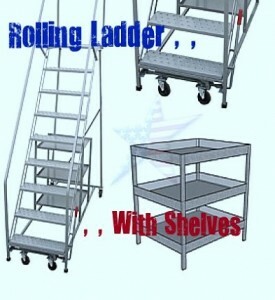 Our ROLLING STOCK PICKING LADDER or INVENTORY ROLLING LADDER has 3 Shelves for Stocking Inventory. 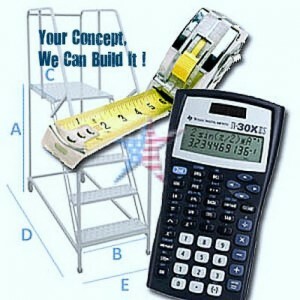 CANTILEVER LADDER, or Rolling Cantilever Ladder, are often called Over Hang Ladders or Unsupported Work Platforms. 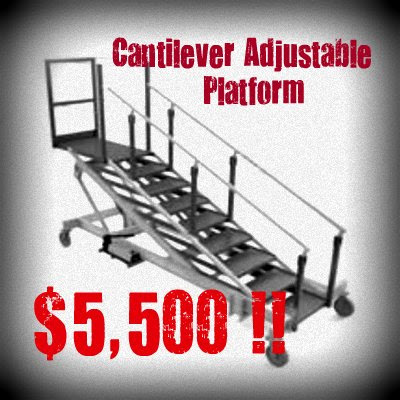 Our site on Cantilevers is so successful that it is often copied. 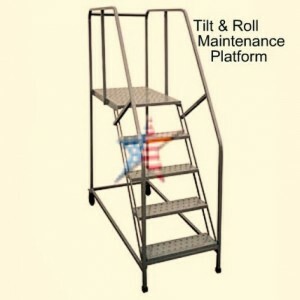 Rugged MAINTENANCE ROLLING PLATFORM with Safety Chain Allows Step-Off Access. We Can Build These Wider & Longer. 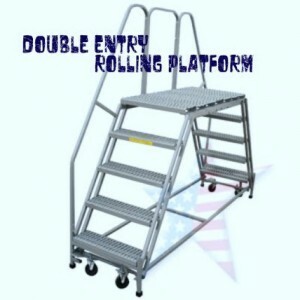 Double Sided Rolling Platforms Typically Have a Handrail on One Side Only to Access Work Areas. 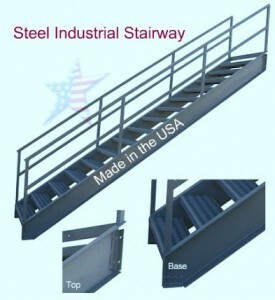 Steel Access Stairway is an Economical way to Reach a Mezzanine or Loft. Our INDUSTRIAL STAIRWAY is our strongest and safest ALL STEEL STAIRWAY we build because we weld 10” channel stringers and deep step treads. 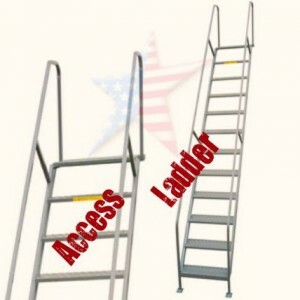 Steel Fixed Building Access Ladders Will Require A Caged Ladder for Certain Building Codes. 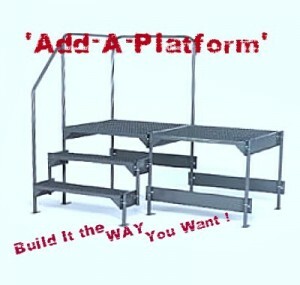 Modular Platforms, You Design! Click on Pictures ! Modular Platforms Can Be Placed Side By Side To Make A Larger Flexible Work Area. 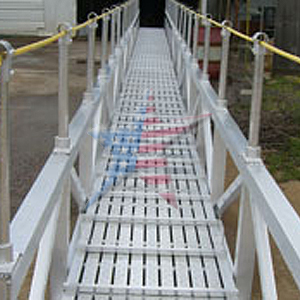 Aluminum Marine Gangways Can be Built to Your Specifications Too. 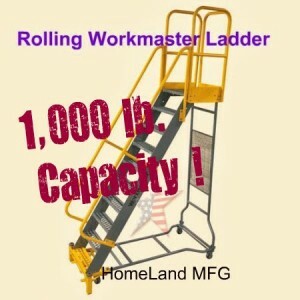 Portable Man Lift, Rolls Thru A Standard 36" Wide Doorway. Economical, A Proven Work-Horse too.